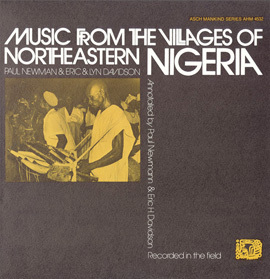 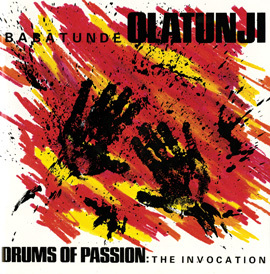 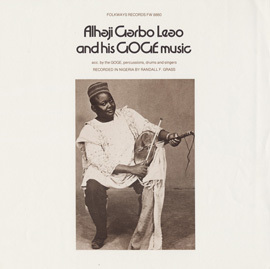 Drums of Passion: The Beat was written and co-produced (with Mickey Hart) by Nigerian artist Babatunde Olatunji (1937-2003) and features guests Brazilian percussionist Airto Moriera and rock guitarist Carlos Santana. 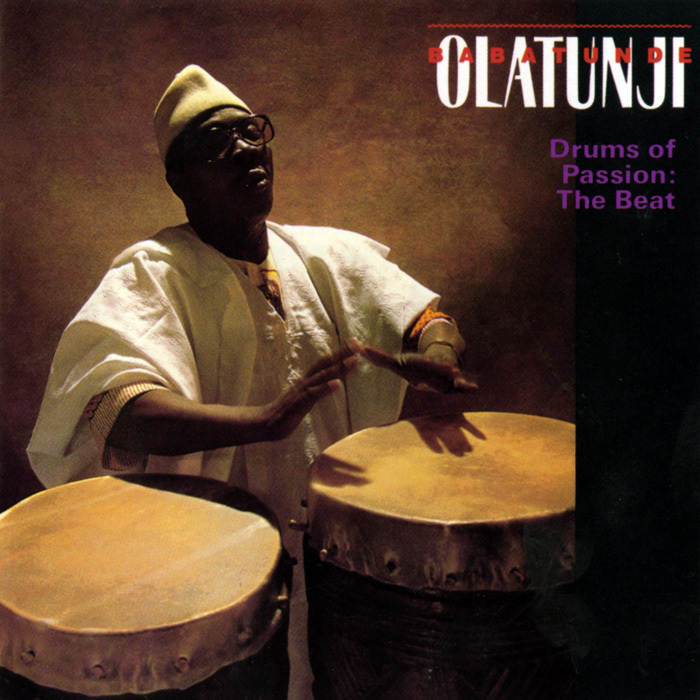 The album is Olatunji's tribute to the power of rhythm: “Rhythm is the soul of life. 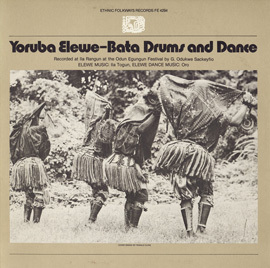 The whole universe revolves in rhythm.” Olatunji performs on lead vocals, lead drum, and ngoma drums, and is accompanied by the talking drum, djembe, bembe, agogô, caxixi, sekere and others. 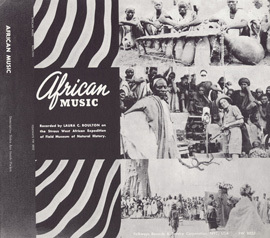 Originally released in 1986 as Dance to the Beat of my Drum on Blue Heron Records, Drums of Passion: The Beat was reissued in 1989 as part of “THE WORLD” series (now part of the Mickey Hart Collection made available by Smithsonian Folkways).